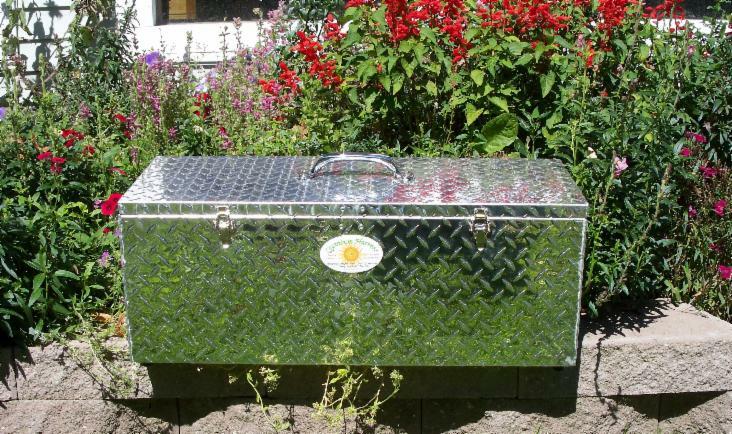 Start protecting your electronic devices and precious data with a Quantum Harvest Faraday box. 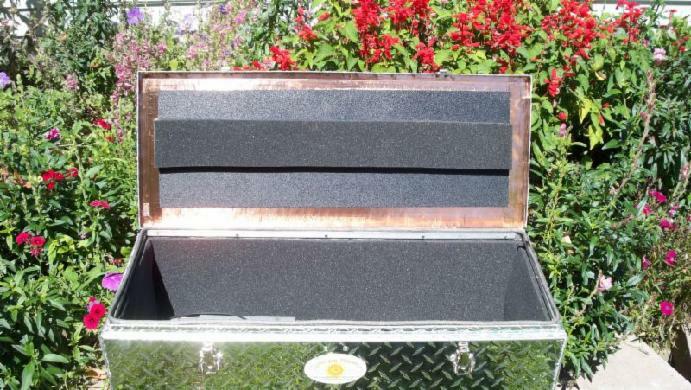 Quantum Harvest manufactures several sizes of Faraday boxes for the safe storage of sensitive electronic devices such as laptops, e-readers, radio equipment, portable medical devices and any other device at risk of damage from an EMP* event. Purchase price includes free shipping anywhere in the Continental US! Contrary to popular wisdom, it takes more than a layer of foil to protect from a stellar-induced geomagnetic storm** or an EMP event. It's all about field strength and attenuation. Either of the above events would most likely overwhelm the attenuation capacity of simple aluminum foil like you get in a grocery store. It takes at least a millimeter of aluminum or copper, and about 2 millimeters of steel to safely dampen (attenuate) the several hundred Volts/meter of a typically postulated EMP event down to a level that is safe for modern electronics. Also, foil is prone to corrosion, rips and tears that further degrade it's performance. experienced with are grounded, but that is because A: The source magnetron was inside the cage, and B: The cage was part of a big metal machine that had a lot of power fed into it. The grounding was mostly to protect the operator from electrical shorts in the welder's electrical system. The RF radiation would have been just as effectively stopped had the Faraday apparatus not been connected to ground! *An EMP, or Electro-Magnetic Pulse is a devastating phenomenon that, while harmless to living things, absolutely destroys anything electronic. It consists of extremely powerful electromagnetic fields building and collapsing hundreds of thousands of times per second. This induces potentially huge electric currents in anything that conducts electricity, causing components connected to said conductor to burn out. An EMP can be caused by either a deliberate, high-altitude nuclear warhead detonation, or can be caused naturally by a solar event called a Coronal Mass Ejection, or CME. **In 1859, the Earth was impacted by a blast of plasma and charged particles generated by a phenomenon known as a Coronal Mass Ejection, or CME. This occurrence, called the Carrington Event, induced currents in wires powerful enough to damage the simple telegraph system in use at the time. Imagine what damage such an event would wreak on our infinitely more complicated and delicate micro-processor dominated society!